Halla Library will hold various events for the book festival under the theme "The season of reading with libraries!" on Sep. 15. This festival will be held with more than 2,000 Jeju residents and students attending. 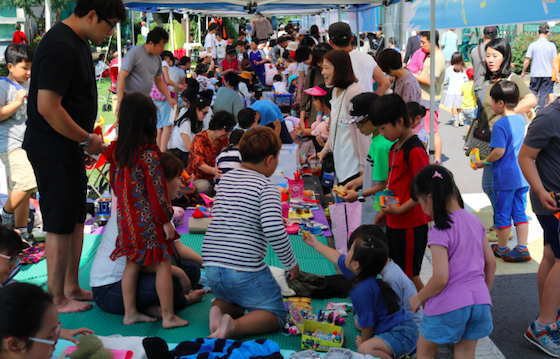 The events will feature a variety of cultural events, such as "Lecture Concert" by Noella Violinist, "Family and Doll Theater," and other events. For adults, the "Noela Lecture Concert" will present an unique guest lecture from 2 p.m.. You can enjoy the melody of the violin and the feel the atmosphere of autumn with books. Library service for underprivileged people includes children's reading programs outside of school, reading programs for disabled people, multicultural support programs, and running books reading programs for daycare centers. The Halla Library also prepared weekend reading events for children, such as reading books events, English Story Time and reading movies in libraries. In addition, in September, there will be courses for humanities and reading books to encourage the motivation for reading, and expand lectures for literature commentators under the theme of "Meeting with Prometheus" in Halla Library. Moreover, during September, the Jeju government will run public library contest, Jeju Book Academy, and book debate in different local libraries.